Smart & Dynamic associates with expertise in assuring the system for its performance, scalability, capacity & availability through Performance Testing, Engineering & Capacity Planning activities headed by QA Industry Experts Ramya Ramalinga Moorthy and Ruslan Desyatnikov. Our management team has over 35 combined years of professional experience in Quality Assurance, Testing, and Performance Testing & Engineering Space. Ramya and Ruslan helped many Fortune 500 companies including HSBC, Citi, Morgan Stanley, AFEX, Honeywell, Shell, ING, Logitech, Comcast, MetLife, JPMC, KPMG to establish Performance Testing Practices, Performance Testing Centers of Excellence, Performance Methodologies, approaches, tools evaluations, trainings, coaching and strategic consultations. Ruslan Desyatnikov brings over 20 years of Quality Assurance, Quality Control, Process Improvement, Software Testing and Performance Engineering experience helping many Fortune 500 companies including HSBC, Citi, Morgan Stanley and others . 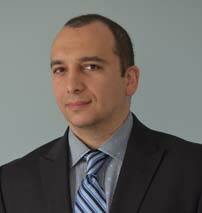 Ruslan graduated from Baruch College – City University of New York with a BBA in Computer Information Systems, and holds MBA in Technology Management from Phoenix University of Arizona. He holds a number of Quality Assurance/Testing and Project Management certifications and is an active board member of multiple QA Organizations in the United States and Europe. Ruslan’s articles are published in many popular magazines such as CIOReview, Outsourcing Gazette, Tea-Time with Testers, Stickyminds, LinkedIn, Outsource Gazette and multiple QA blogs. Ruslan was among 3 finalists of Champion of The Year Award by The European Software Testing Awards in 2015, award given to the individual who has championed the cause of software testing above all others. Ruslan also was among finalists for Test Manager of The Year award by The European Software Testing Awards in 2016. In 2016, Ruslan also received an award “50 Most Creative CEOs to Watch” by InsightSuccess magazine. 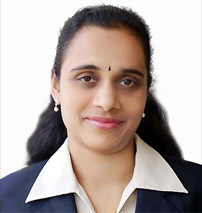 Ramya R Moorthy brings over 14 years of industry wide experience in Performance Engineering space. She provided consulting & handled performance assessments for several Fortune 500 clients including Honeywell, Shell, ING, Logitech, Comcast, MetLife, JPMC, KPMG and others, solving technical problems for assuring their system for its performance, scalability, availability & capacity. She has led several senior leadership roles in her experience working for product & service based companies. She provides technical consulting services in NFR testing space. Her key area of interest includes application capacity sizing, performance modeling & predictive performance analytics. She is also a certified ethical hacker. She has great zeal towards teaching & mentoring the young professionals to build elite professionals for future. She is a conference speaker & well known writer. She has published several papers, authored many articles & e-books in several journals & LinkedIn. Her recent conferences presentations were at QAI-STC 2016, CMG India 2016 & NFTCON India 2016 on topics related to statistical modeling, use of machine learning techniques for anomaly detection, performance forecasting, etc. Recently, she has received the best paper award from CMG India 2016 for her paper on ‘Performance anomaly detection using Statistical Modelling & Machine learning techniques’. She is a computer science engineering (BE) graduate with her Masters in Software Systems (MS) from BITS PILANI University, India.